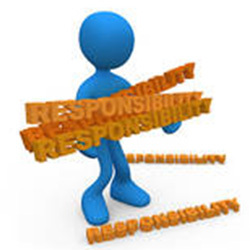 Driving a motor vehicle requires a lot of responsibility. When behind the wheel, safe driving is your responsibility, and it should always be your first priority. Always obey traffic rules and signals, drive responsibly, be courteous to other drivers and avoid taking unnecessary risks. Driving can be dangerous, and even fatal, if driving rules are not followed. Understanding how your vehicle works and how to safely drive on all highways and streets, is part of being a responsible driver. There are millions of drivers that will be sharing the road with you. Use caution and be an attentive driver at all times.